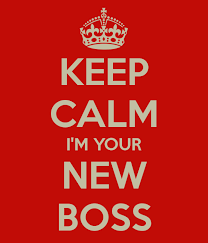 What Employees Need From New Managers by Steven Tulman | Go, Leader, Grow! We’ve all felt the panic at some point in our lives: Dealing with a new boss or leader. Whether you’re starting a new job or if your manager has recently changed, the uncertainty, doubt and even fear of working under a new person can be nerve-wracking. Likewise, walking into a new work environment as a manager can be tough as well. You’ll be expected to deal with a whole new group of employees and a work culture that you might be unfamiliar with. You may be tasked with changing the fortunes of a team, department or organization that has been struggling. The important thing for both sides to remember is that the transition to a new manager isn’t easy for anyone. Different people will react to a leadership change in different ways. This makes sense. After all, managers play an important role in the day-to-day life of an employee. It’s also important to remember that a new manager is an opportunity for both change and growth. Keeping an open mind and an optimistic viewpoint will prevent everyone from making snap judgments or decisions. As a new manager, you’ll want to focus on what your employees need from you. Whether you’re stepping into a management role at a new company or if you’ve just been promoted and will now be managing your former colleagues, here are a few things that employees need – and expect – from a new manager. As a new manager, it’s important to let your employees know that you support them. They may not know you personally or professionally and you might not know the kind of relationship that they had with their previous manager. They may be skeptical that you have their interests in mind. Let your employees know that you are there to support them individually and as a team. This will allow you to build a culture where teamwork and support are important, which is key to business success. One of things that I have found to be effective and helpful when starting a new management role is to get to know everyone who directly reports to you. Since individual needs, personal motivators, communication styles, and emotional sensitivity levels vary from person to person, it is extremely ineffective to manage everyone using the same style. Different people respond better to different management styles, therefore it is crucial that as a new manager you learn what style will work best with each of your direct reports. Get to know what stimulates your individual team members and learn the best ways to communicate with them on an individual level and you will find it much easier to lead the team effectively. Of course communicating with everyone in the same style requires less initial effort on the part of the manager, but in the long run will produce much worse results.